Kapten White Melon Extra Strong has a fruity taste of melon, with a traditional snus flavor as a basis. 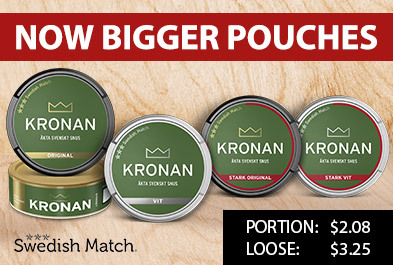 It also has an extra high nicotine content. Captain White Melon Extra Strong Portion reminds a lot of the classic Kapten White, solid with more nicotine and melon added to the mix. Each box contains 20 servings. 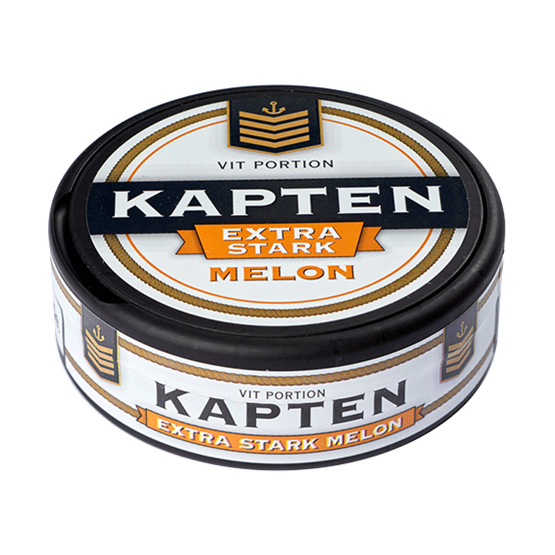 The can is black but still has the Kapten usual design features.